Los Angeles – Kim Kardashian West does not like sharing the spotlight. Amid the media hype of Brad Pitt and Angelina Jolie's secret wedding, Kim Kardashian West decided to share a never-before-seen photo from her special day. The reality TV star said she shared the snap to promote the big wedding episode of Keeping Up With The Kardashians which aired in America on Tuesday night. But could it be that she was just trying to get the attention back on her after Brangelina caused a frenzy with their super private nuptials? Angelina appeared on the cover of Hello! 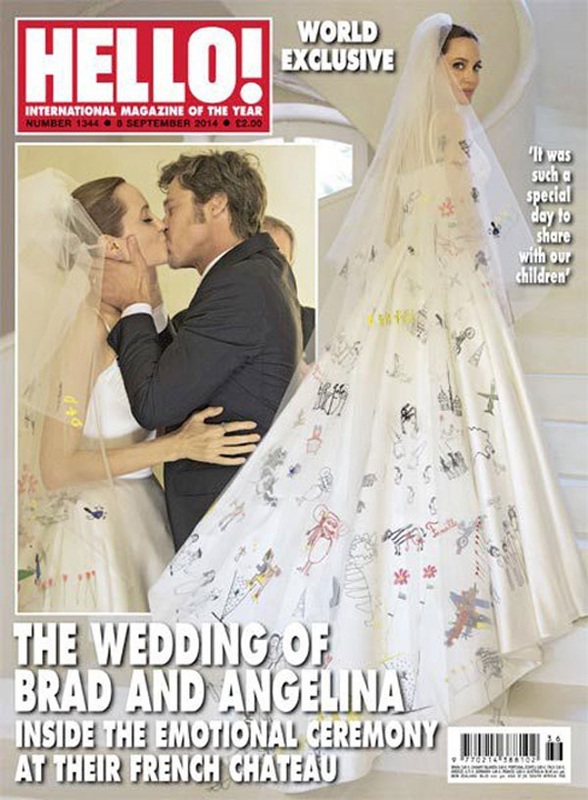 magazine, showing off the back of her dress that was customised by her children.